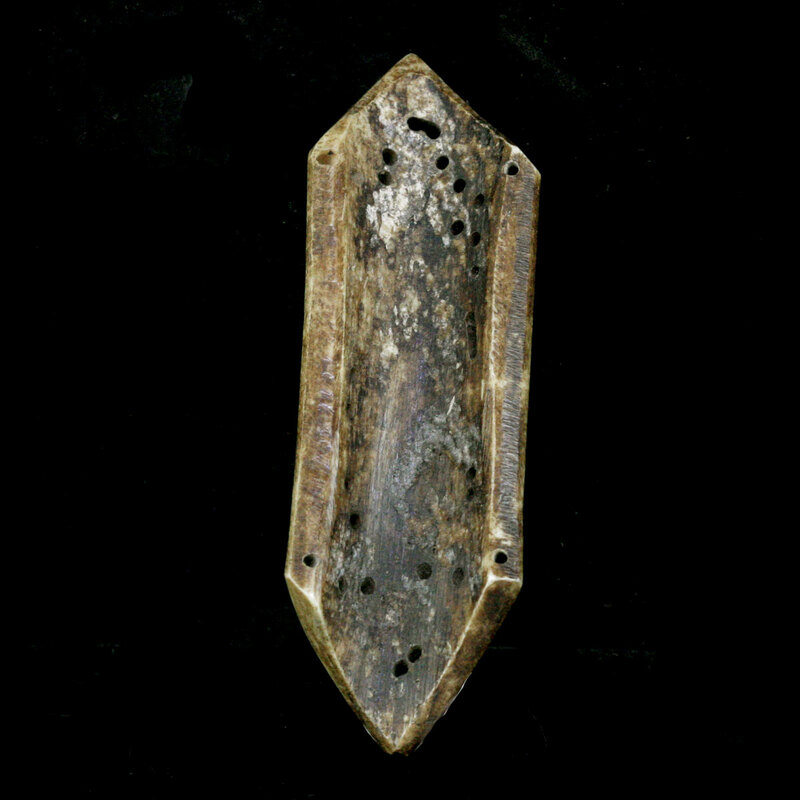 ﻿ Indian and Himalayan : A Tibetan tantric bone plaque carved with tantric a Dakini figure on the front surface. 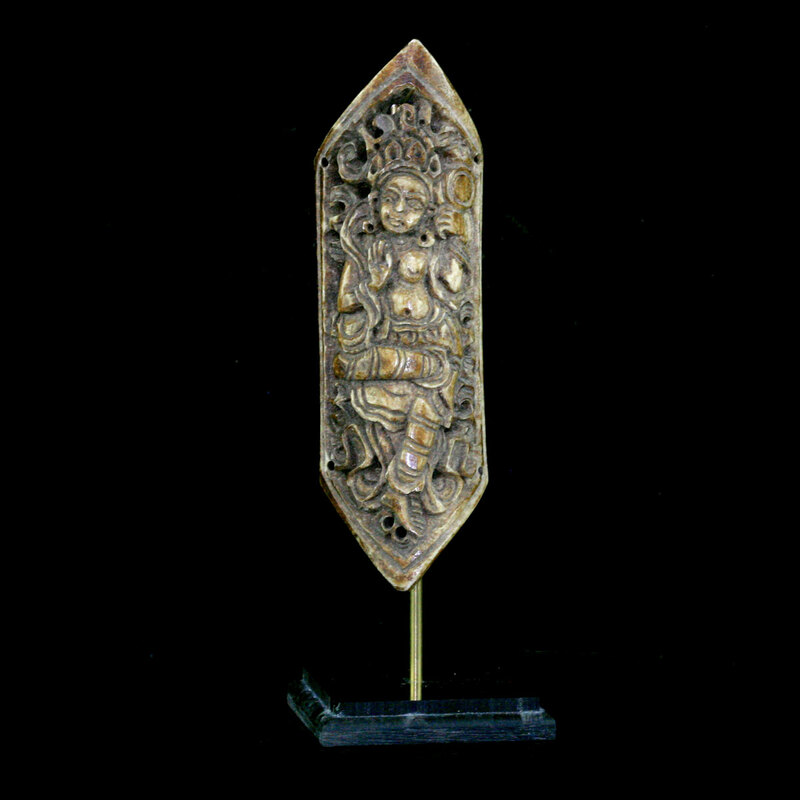 A Tibetan tantric bone plaque carved with tantric a Dakini figure on the front surface. 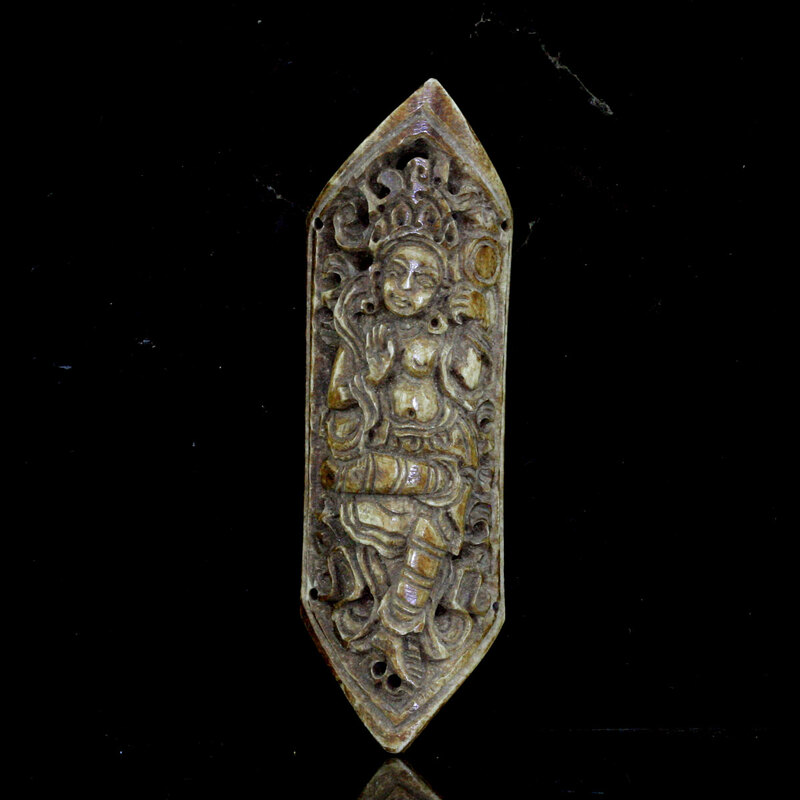 A Tibetan tantric bone plaque carved with a Dakini figure (female holders of divine wisdom) on the front surface. This type of apron formed part of a set of ornaments called Rupay Gyan. 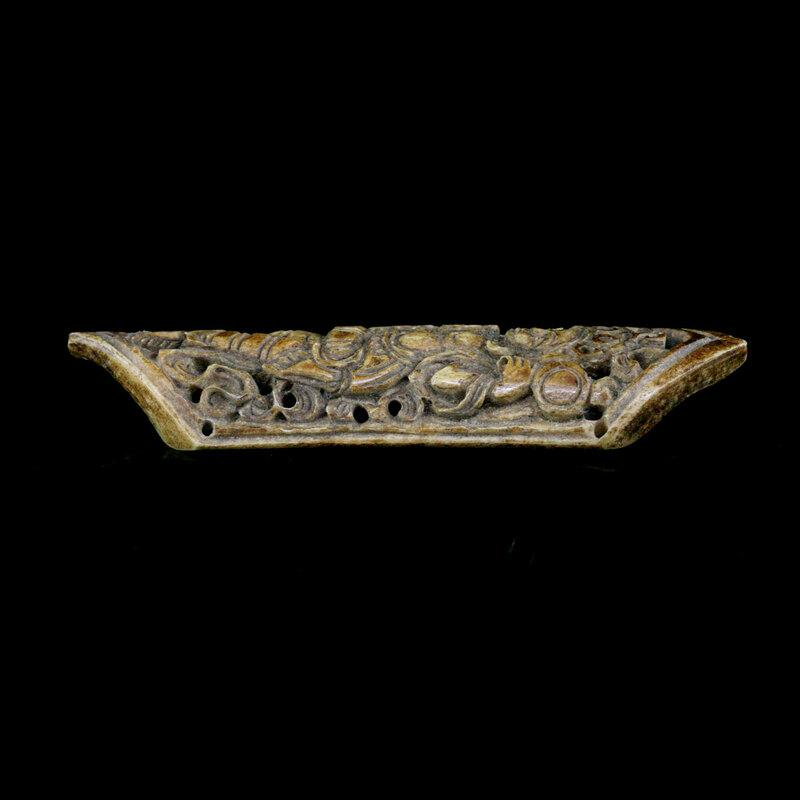 The set traditionally comprised of five items including apron, two anklets and two wristlets, with an additional sixth component being the ashes from burnt bones taken from a funeral pyre.